If you want to publish your posts to the most popular social networking site Facebook automatically in WordPress? Then yes, you can automatically publish your post to your fan page or profile. Whenever you publish posts to your WordPress it will automatically post to your Facebook accounts. So in this tutorial we will show you how to publish a WordPress post to Facebook automatically. There many WordPress plugins that you can use to publish your posts to your social accounts. 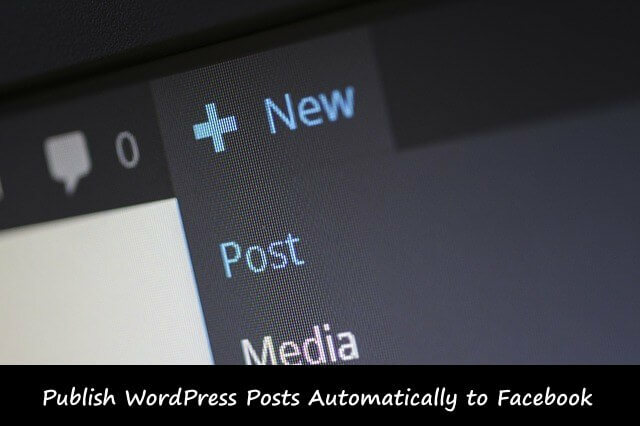 But the "Facebook Auto Publish" is one of the best and easy to use WordPress plugins which allows you to publish your articles to your Facebook fan page or profile. Like as I said, this plugin is very popular and more than thirty thousand (30,000) WordPress websites and blogs using this plugin. To start using this plugin you need to create Application in your Facebook account which allow you to connect your account with your WordPress site. First of all, Go to Facebook developers and create new App. So click on My Apps dropdown button and then click on Add New APP or just click on create new App. Now you need to select your App platform. So select website as a platform. It will ask you to add a name for your App, So add your app name. On the next popup window you need to add category and email. Now you need to make App public so go to App review and make you App public. Copy your App id and App Secret. 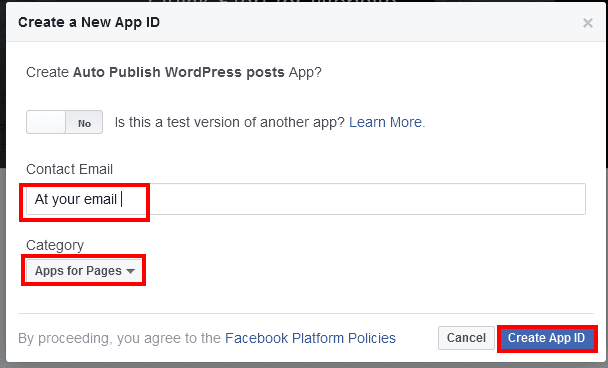 After you need to create the Facebook app then you need to download and activate the "Facebook Auto Publish" plugin from your WordPress plugin tab or manually. Having a problem with installing plugins in WordPress then read how to upload and install WordPress plugins. Once you have done, then new will see a new tab named "Facebook Auto Publish". Click on that and on the settings page you need to add your App id and App Secret codes in the Application fields.